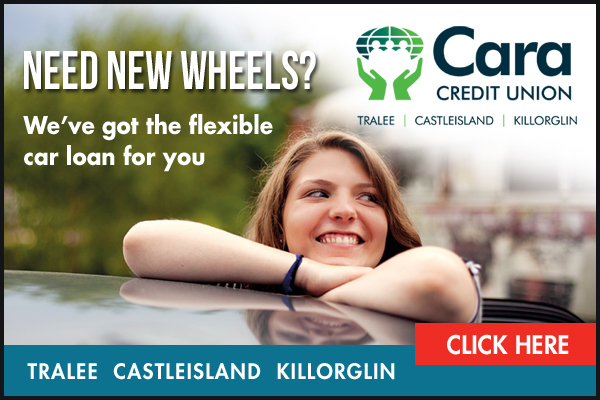 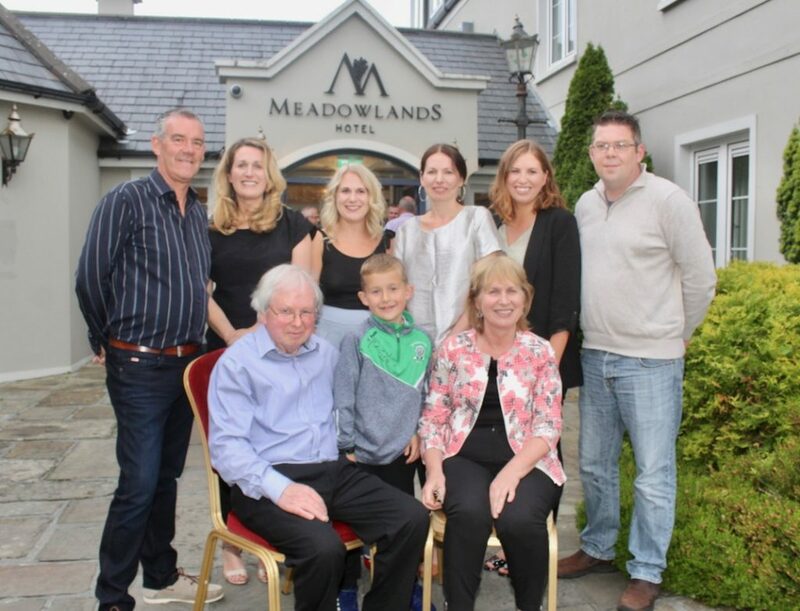 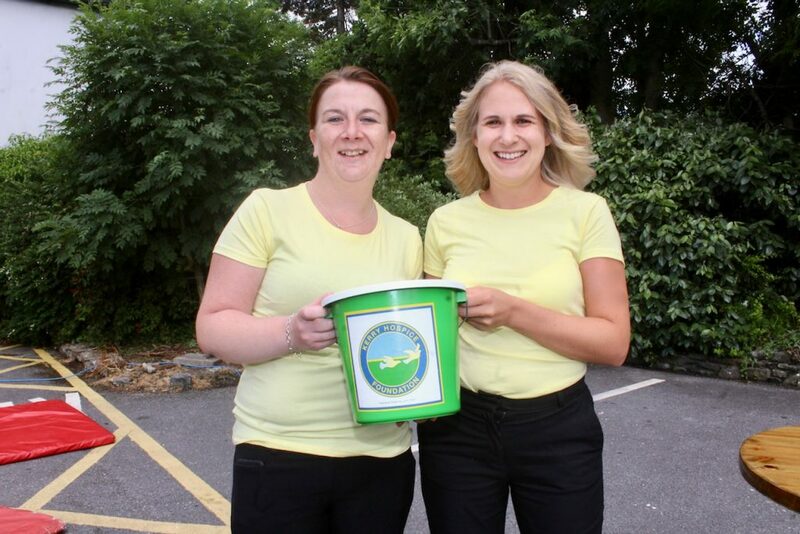 THE Ó Mathúna family, owners of Tralee’s Meadowlands Hotel rolled out the red carpet to many of Ireland’s most loved sports stars for the 20th Anniversary Sports Gala, the centrepiece of their festival last weekend which celebrated the hotel’s 20th year in business and which was all in aid of Kerry Hospice foundation. 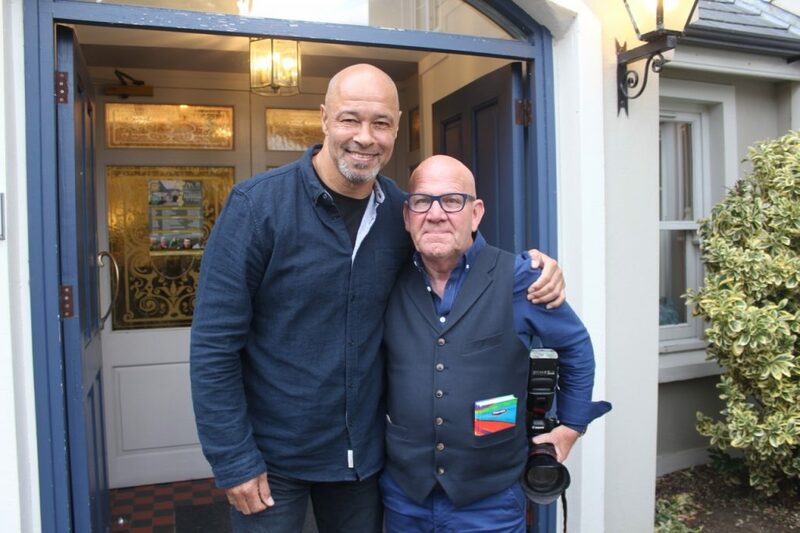 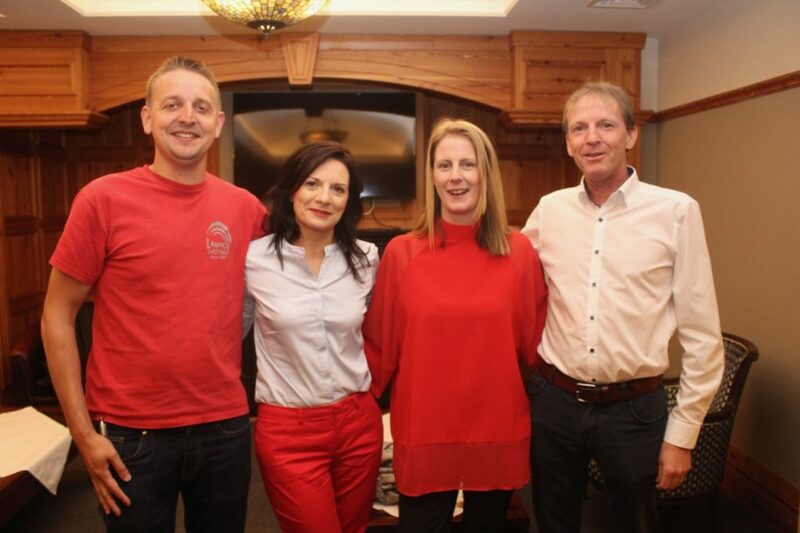 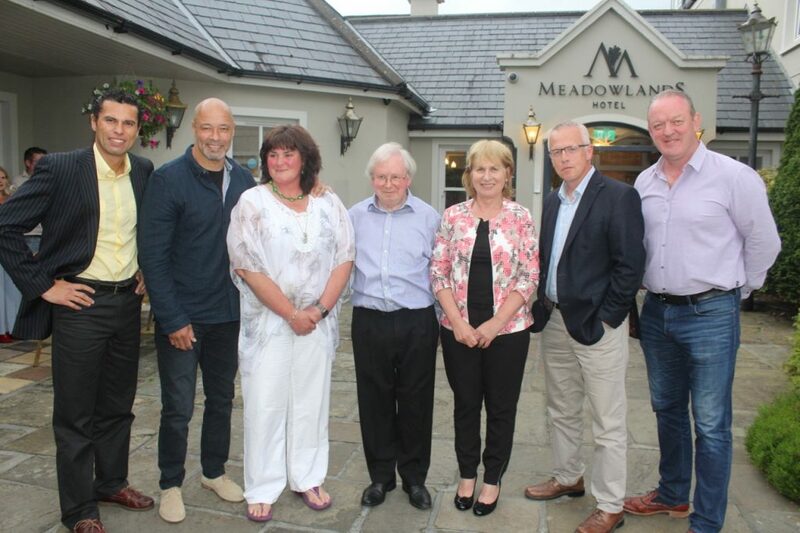 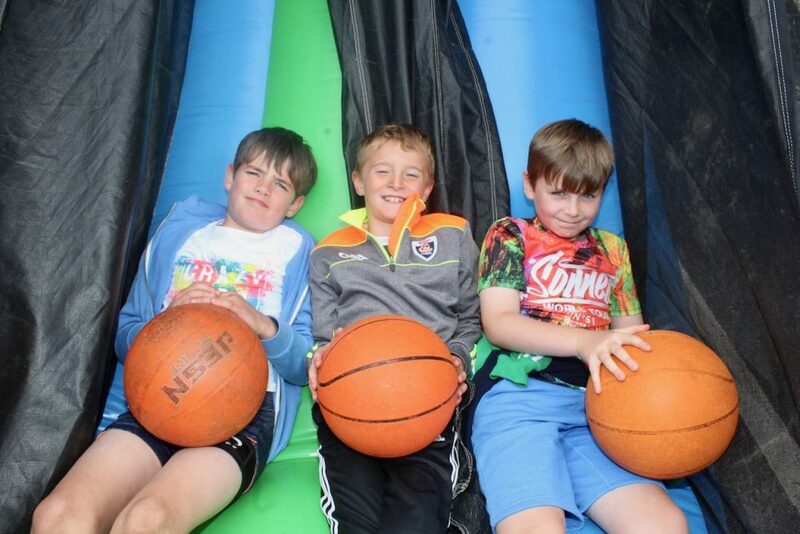 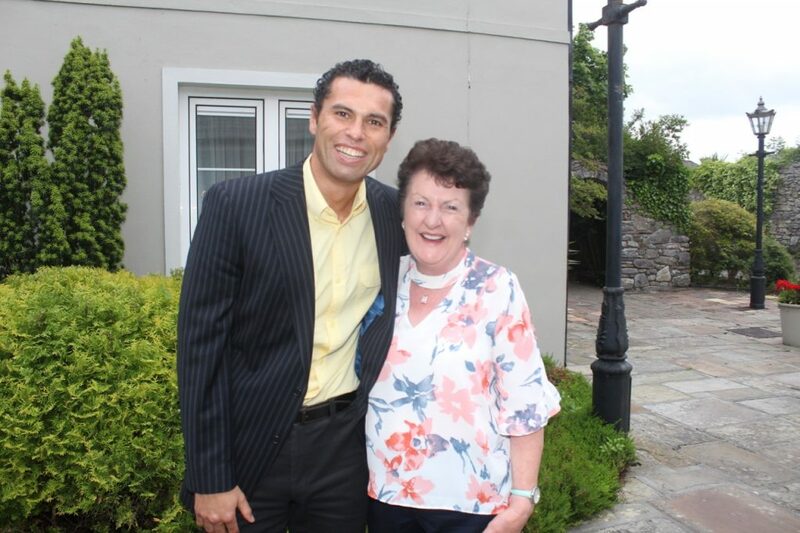 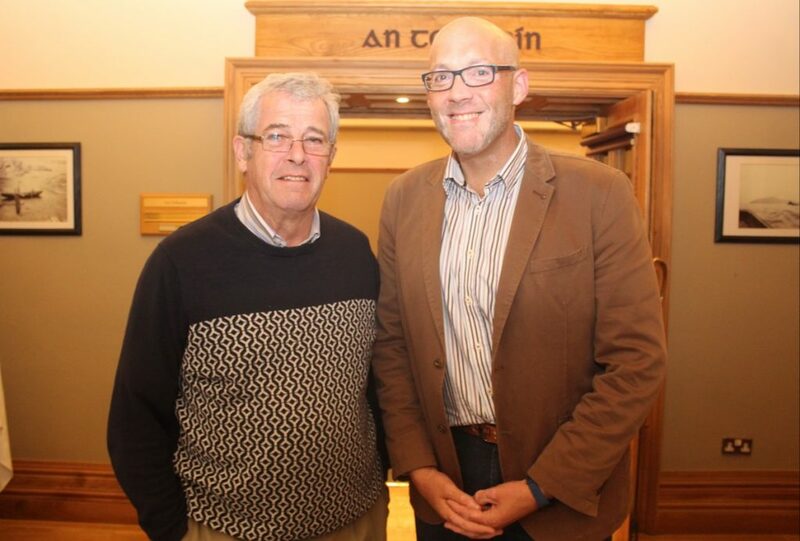 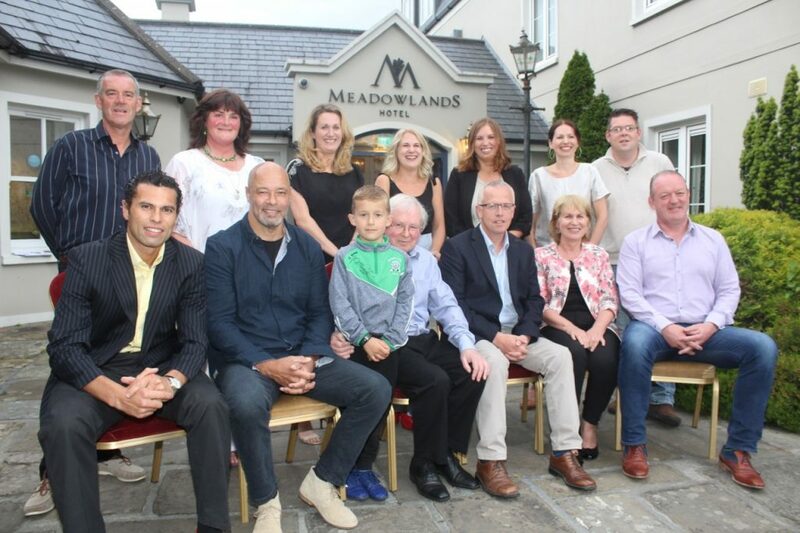 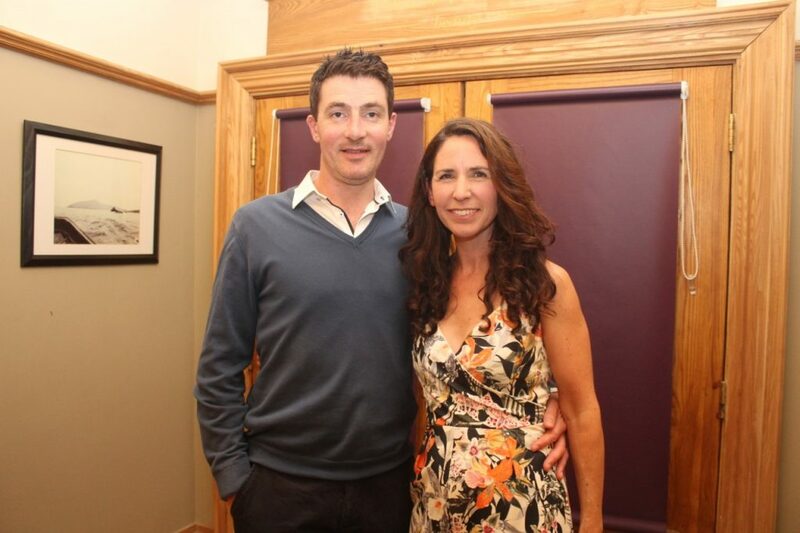 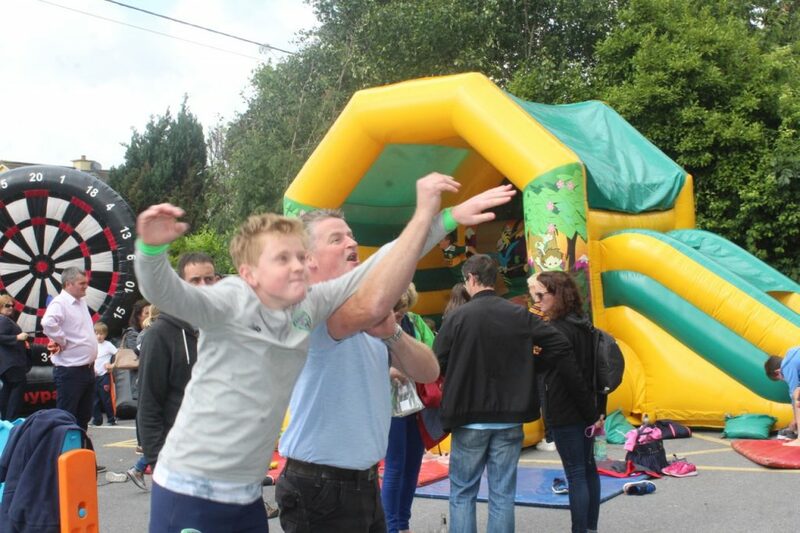 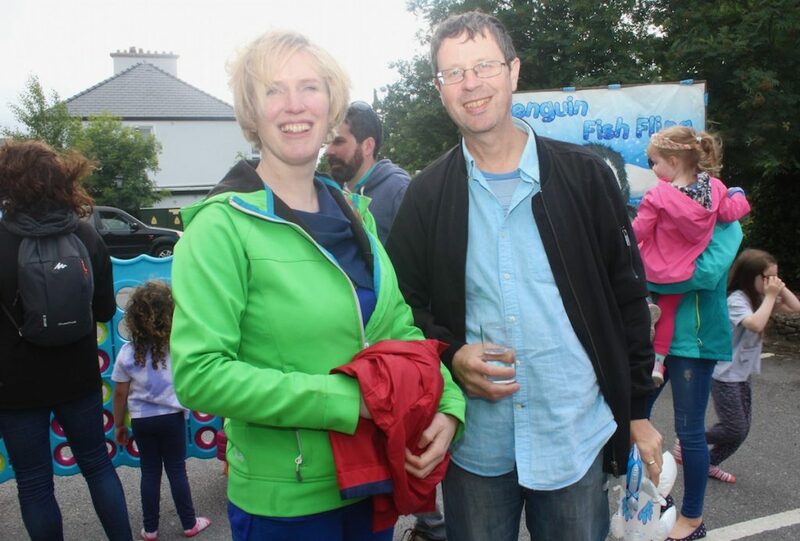 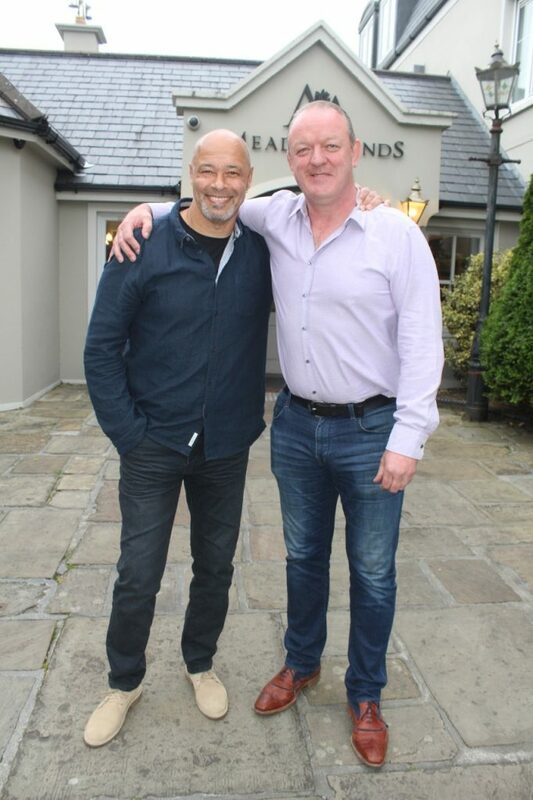 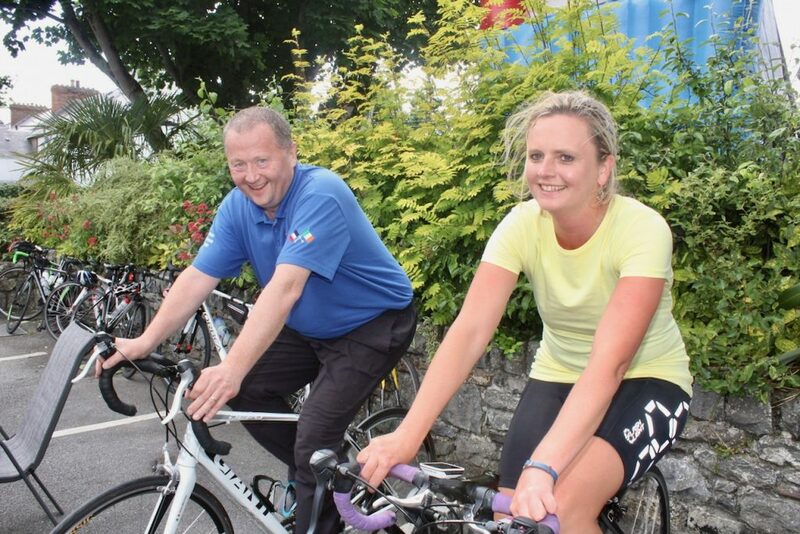 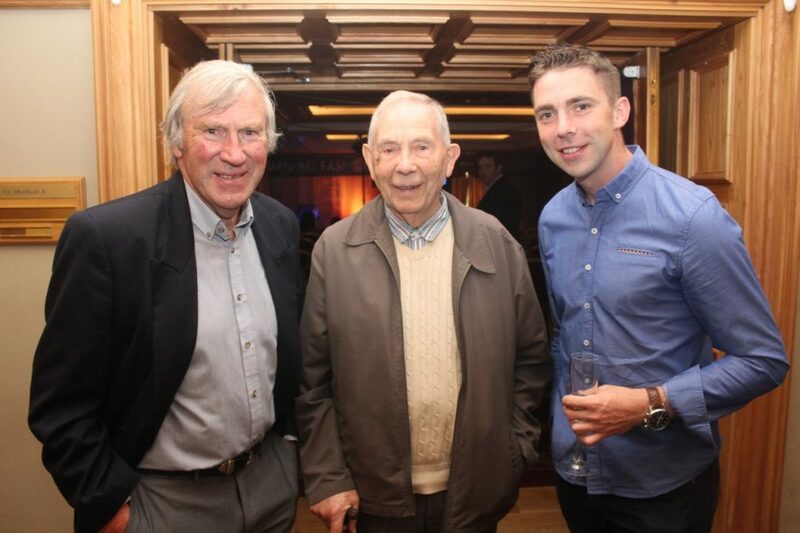 A crowd of 200 people gathered for the Sports Gala event, hosted by RTE’s Joe Stack, and which included a star-studded line-up including Paul McGrath, Tomás Ó Sé, Mick Galwey, Cork’s Sean Óg Ó hAilpín as well as pioneering ice swimmer, Dingle’s Nuala Moore. 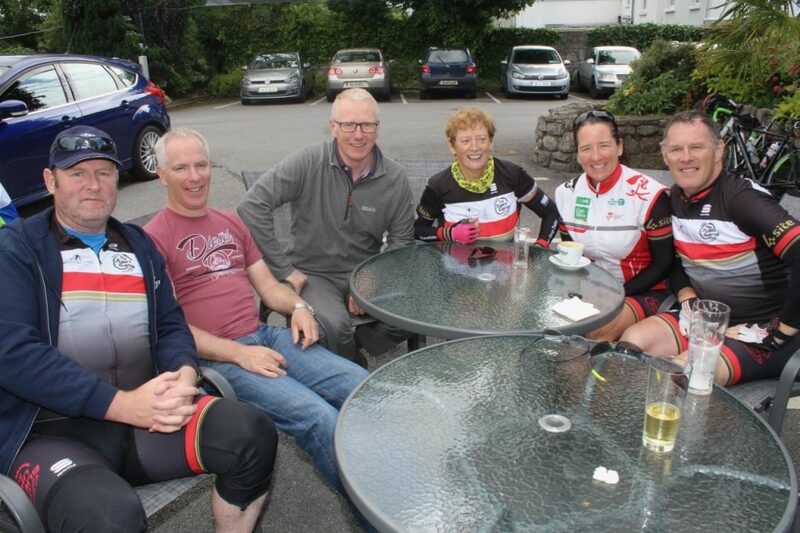 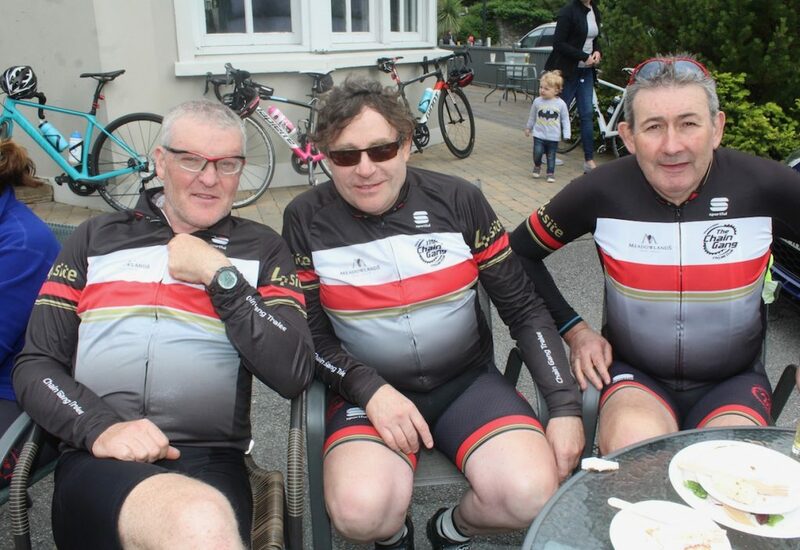 The sporting community of Tralee got behind the weekend with over 60 cyclists involved in a Chain Gang cycle to Dingle while there was also a Tralee Warriors Free Throw Challenge, an Endurance Bike Challenge on the hotel grounds, a Coffee morning and a sports themed pub quiz which all helped to maintain vital local services through the work of Kerry Hospice Foundation.